/Data Center Services /Dedicated Hosting /Reboot Dedicated Server via WHM/AMP/Command Line? The recommended option is Graceful Reboot. This way the reboot will be queued, and when all services are stopped the server will be restarted. In a case there is a very high load on the server, the Graceful Reboot might not be sufficient. Then you will need to use the Forceful Server Reboot option. Type "restart" in the search box at the top left to find the "Restart Services" section. To restart Apache, select HTTP Server (Apache) and click yes. Locate your server and click the Restart VPS button. Customers can restart their server services through the WHM or through Shell access. 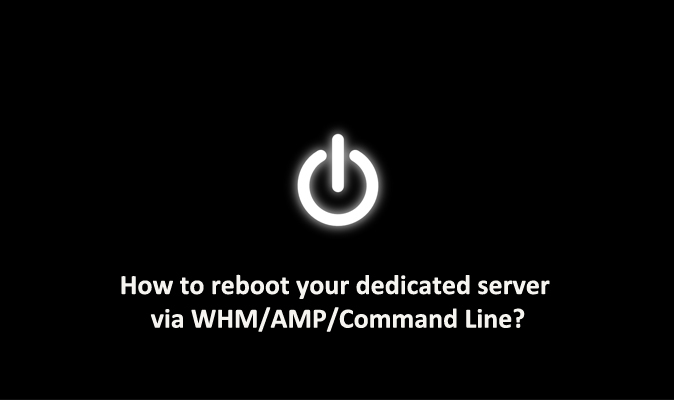 Please see the below tutorials on how to restart your services through WHM and through command line. You can shell into your server and stop and start your httpd services for your website. See the following commands.